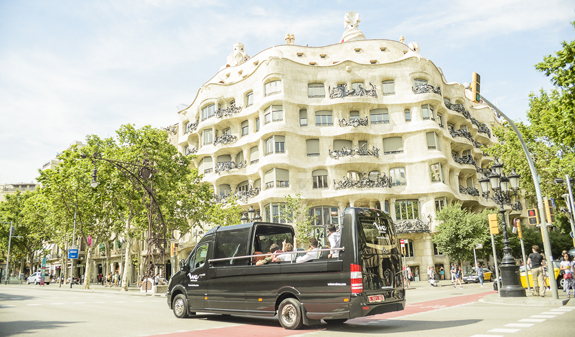 Feel the pulse of Barcelona as you tour the city on a fantastic Smart Mercedes e-bike or on board the Mercedes Cabrio minibus; sail along the coast and enjoy views of the skyline or a bird's eye view of the city by helicopter or cable car. 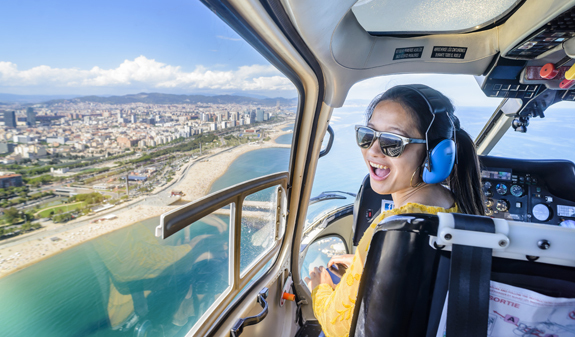 Enjoy Barcelona by land, sea and air and see the city from all its amazing angles. By land: ebike city tour taking in its most iconic landmarks and sites: Gothic Quarter, Passeig de Gràcia and the Quadrat d'Or heritage district, Sagrada Família, Ciutadella, Old Harbour and the Olympic Village; or on board the Mercedes Cabrio minibus or walking tour through the Gothic Quarter. 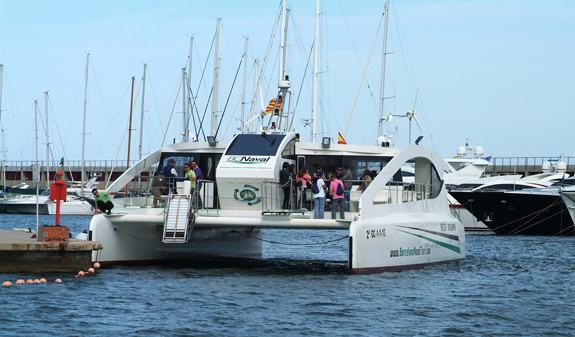 By sea: hop on board the eco catamaran or the Karya Shooner in the old harbour, the Port Vell, and sail along the Barcelona coast while you enjoy the city skyline. 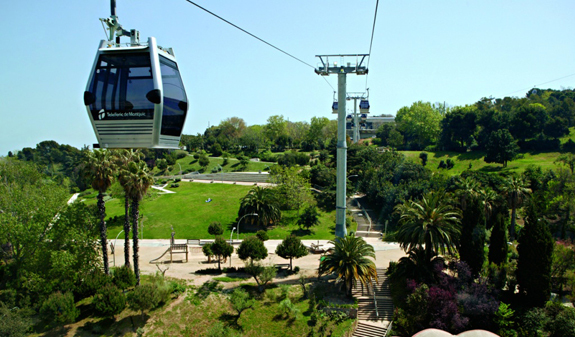 By air: enjoy an amazing panoramic views with a comfortable helicopter or ride up to the castle on the Montjuïc cable car. Guide who will accompany you throughout the tour. 6-minute tour on a comfortable helicopter. Hire of a Smart Mercedes e-bike. Tickets on the Montjuïc cable car. The full day route includes the ticket to Sagrada Familia. Panoramic view on board on an open top Mercedes Cabrio minibus. Barcelona 360º Skywalk, Land, Sea & Air: daily, at 9.30am and at 3.30pm. Length: 3,5h. The tour ends at pl. Colom / Las Ramblas. 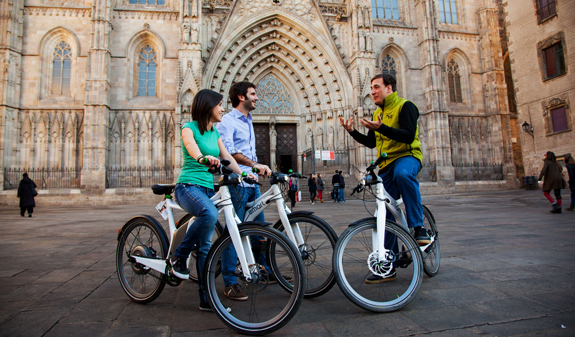 Barcelona 360º Ebike, Land, Sea & Air: half day route, daily at 10am and at 3.30pm. Length: 3,5 hours. Full day tour, daily at 10am. Length: 7h. Barcelona 360º Luxury, Land, Sea & Air: daily, at 10.30am. Length: 4 hours. The tour ends at pl. Colom / Las Ramblas. Languages: English and Spanish. The Barcelona 360º Luxury, Land, Sea & Air is only in English. Luxury Tour: We Boutique: Passatge de la Concepció, 7. Metro: L3 and L5, Diagonal stop. Bus: 22, 24, 28, 100 and 101. 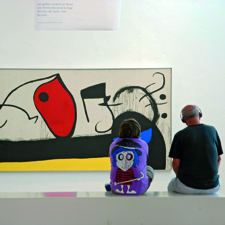 FGC: Provença stop. Passengers should arrive 10 minutes before the coach departs. 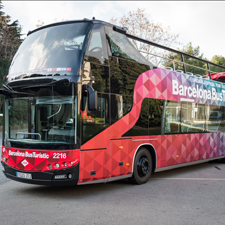 The rest of the tours: We Experience Shop (near to Barcelona's Cathedral) c/Montjuïc del Bisbe, 3-5. Metro: L3, Liceu stop and L4, Jaume I stop. Bus: 14, 17, 45, 59 and V17. Helicopter flight tour: the maximum weight permitted per person is 130 kg (286,50 lb). Passengers above this weight will not be allowed to board. When you arrive at the heliport, you will be asked to show your ID card or passport. Ebike Tours are valid for children up to 10 years old.